Often considered as the world’s oldest surviving work of epic literature, the Epic of Gilgamesh unsurprisingly mirrors the cultural brilliance of the ancient Mesopotamians. In fact, Mesopotamia also gave us the oldest known pieces of literature, partly derived from their invention of written language, an achievement generally attributed to the Sumerians circa 3400 BC. 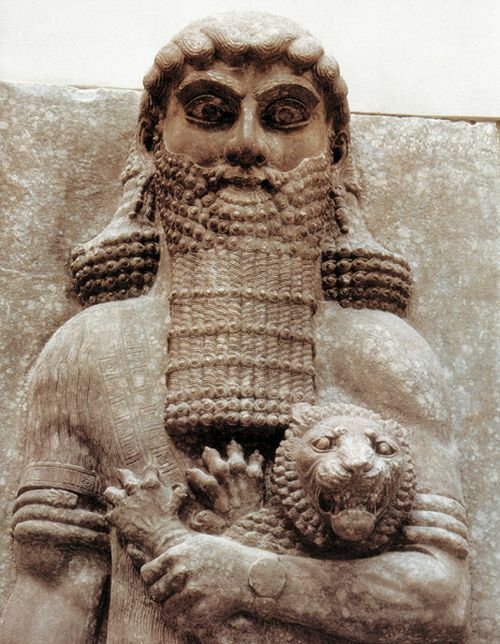 Imposing figure choking a lion that guarded the palace of Assyrian king Sargon II at Khorsabad in northern Iraq – often identified with the hero Gilgamesh. Credit: Musée du Louvre, Paris. 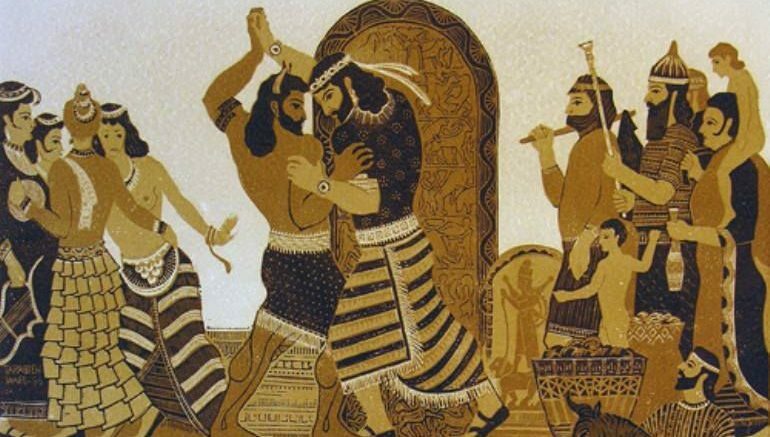 Befitting the literary value of the Epic of Gilgamesh, the multilayered history of the character of Gilgamesh himself is fascinatingly derived from five Sumerian poems (dating from circa 3rd millennium BC) that portray a King of Uruk named ‘Bilgames‘. To that end, historians are aware of the existence of few such independent stories of Gilgamesh (or his Sumerian counterpart) that were composed before the epic itself. Some of these pieces of ‘pre-epic’ evidence are also derived from 3rd millennium BC inscriptions that credit Gilgamesh with the building of the great walls of Uruk, corresponding to present-day Warka in Iraq. This historical narrative naturally brings up the question – so when was the Epic of Gilgamesh written? Well, for starters, rather than being ‘written’ as a separate work of literature, the first surviving version of this epic was actually compiled from the aforementioned different tales. Better known as the Old Babylonian version, dating from circa 18th century BC, the compilation is also titled after its incipit, Shūtur eli sharrī (“Surpassing All Other Kings”). However, the ‘best’ known version of the Epic of Gilgamesh comes from a later Babylonian compilation dated from circa 13th to the 10th centuries BC and is titled Sha naqba īmuru (“He Who Saw the Deep”). So, once again another query can be put forth – is the Epic of Gilgamesh Sumerian or Babylonian? 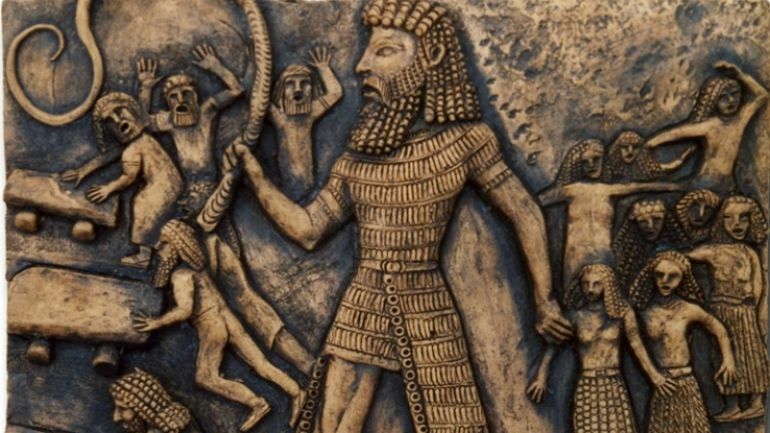 Now as we mentioned before, the origins of Gilgamesh undoubtedly lie in ancient Sumerian. However, on the other hand, the epic and its controlled narrative as we know today (and even during the late Babylonian period), comes exclusively from the works of Babylonian writer Shin-Leqi-Unninni (circa 1300-1000 BC) who not only translated and edited the original story (or compilation) but also made his own modifications to the Sha naqba īmuru – the ‘standard’ version of the epic. Of the various episodes comprising The Epic of Gilgamesh, several go back to Sumerian prototypes actually involving the hero Gilgamesh. Even in those episodes which lack Sumerian counterparts, most of the individual motifs reflect Sumerian mythic and epic sources. In no case, however, did the Babylonian poets slavishly copy the Sumerian material. They so modified its content and molded its form, in accordance with their own temper and heritage, that only the bare nucleus of the Sumerian original remains recognizable. As for the plot structure of the epic as a whole – the forceful and fateful episodic drama of the restless, adventurous hero and his inevitable disillusionment – it is definitely a Babylonian, rather than a Sumerian, development and achievement. Lastly, it should be noted that ancient Sumerian as a language almost died out by 20th century BC, and was only used in limited official capacity by scholars (much like Latin and Sanskrit in our modern times) when the first instances of the Epic of Gilgamesh were as compiled. However, at the same time, it heavily influenced ancient Akkadian (of which Babylonian was a variant), the lingua franca of much of the Ancient Near East. 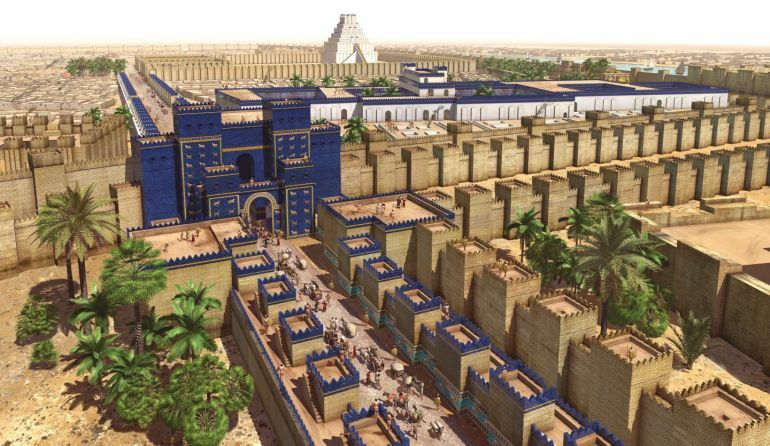 And beyond just cultural affiliations with the advanced Sumerians, the Akkadians also adopted (and loaned) many of the military systems and doctrines of their Mesopotamian brethren. Go up on to the wall of Uruk and walk around. Inspect the foundation platform and scrutinize the brickwork. Testify that its bricks are baked bricks, And that the Seven Counsellors must have laid its foundations. One square mile is city, one square mile is orchards, one square mile is claypits, as well as the open ground of Ishtar’s temple.Three square miles and the open ground comprise Uruk. Look for the copper tablet-box, Undo its bronze lock, Open the door to its secret, Lift out the lapis lazuli tablet and read.